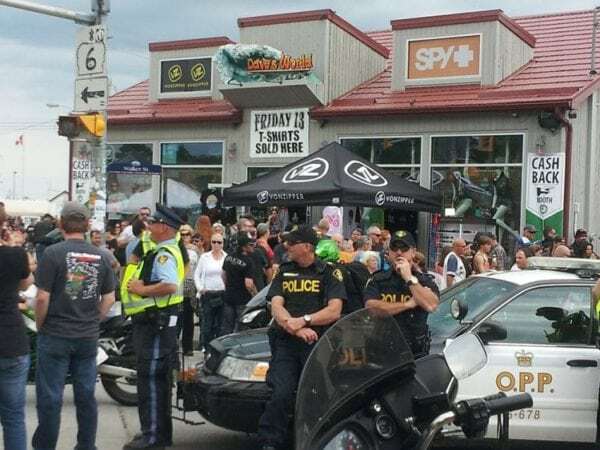 On Friday the 13th, the Lake Erie town of Port Dover, Ont., (population 6,100) will welcome an estimated 200,000 motorcyclists and spectators to its annual celebration of two-wheeled freedom. 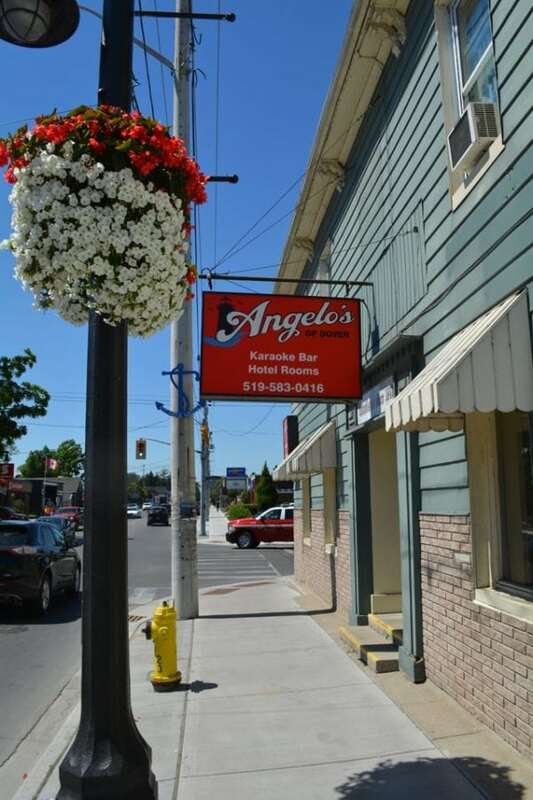 The event is a tradition that started on Nov. 13, 1981, at the former Commercial Hotel, now known as Angelo’s, by Chris Simons and a few dozen friends. They had decided they’d had so much fun they would continue to meet on any Friday the 13th that followed. Little could they have foreseen how tremendously the tradition would expand, simply by word of mouth. Today the event has become so large that only bikers and town residents are allowed to drive into town over the three-day weekend. Outsiders with cars have to park outside of town in designated lots and take shuttle buses to the festivities. Residents need a special pass to drive to their homes. Simons has lived in Port Dover for decades, and admits he’s a little surprised at the size and the popularity of the event. But he recalls he was on the board of trade in the period when the crowds had grown to 600 to 800 bikers and fans. He told other members at the time he could foresee bringing in 100,000 people. Not all townsfolk are happy with the crowds and the noise. But some rent out their homes via sites like Airbnb, pocketing $2,000 to $2,500 for the weekend or the week. This year, predictions of good weather and the fact that this is the first summertime Friday the 13th in four years has led to predictions of 200,000 outsiders descending on the town. That has many local business leaders rubbing their hands with glee. “In future, I think it will level out to 150,000 in good weather,” Simons says. He doesn’t think attendance will continue to grow in future. The most noteworthy aspect of the gathering, aside from the noise of revving engines, is that it’s so peaceful. There is very little crime. 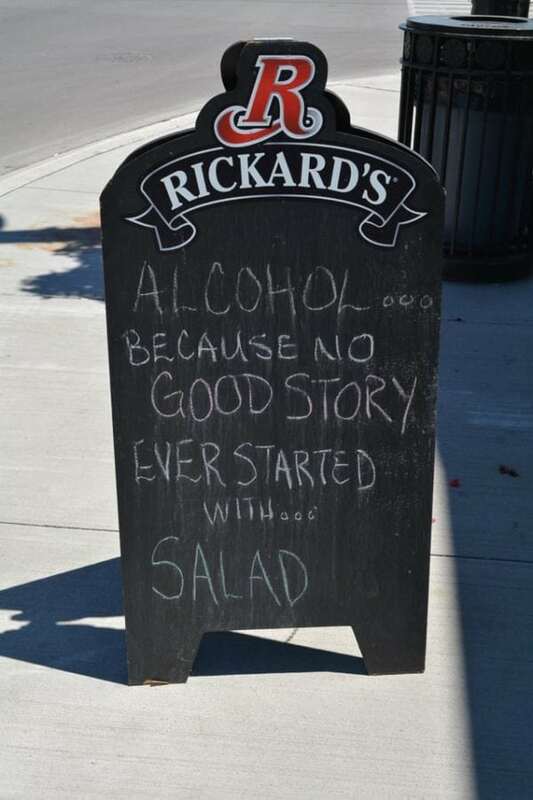 Indeed, according to Ontario Provincial Police spokesman Const. Ed Sanchuk, “It is a very peaceful event, aside from the few who overindulge in alcohol.” Sanchuk’s main concern is traffic safety and impatience caused by traffic delays. “Motorists must remember to look both ways and to check for bikers. Riders should practise their riding beforehand. Check their blind spots and take extra time. The roads will be jammed, so plan ahead and bring extra water for the trip. Louie De Bono, owner of South Side Louie’s on Main Street, is frantically working to open Angelo’s for the event. 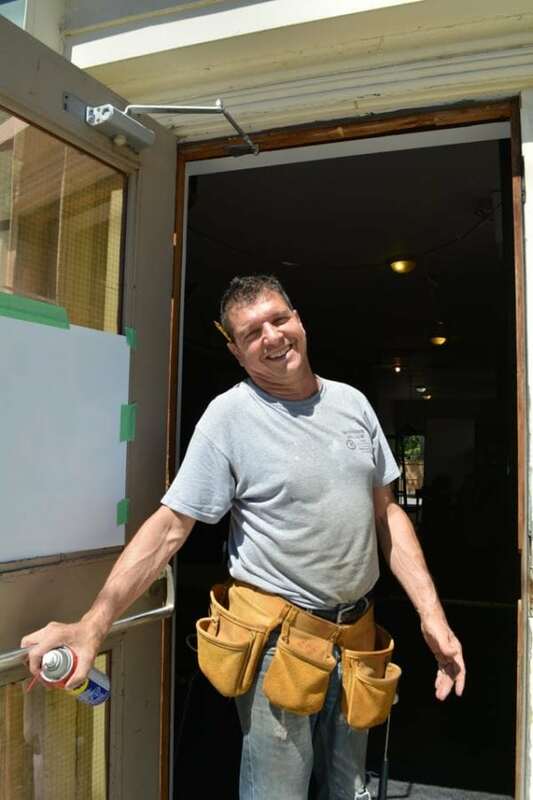 Normally the restaurant is closed but he’s hoping to get the fire marshall’s permission to serve alcohol in the former Commercial Hotel, once nicknamed “The Zoo,” where Simon’s traditional gathering began. To many biker visitors, it’s a shrine. At South Side Louie’s, manager Tracy Gutcher is busy organizing the supplies and the cleanup of her bar. “There are three big events in town this summer,” she explains. “The Canada Day parade, which is the longest-running in Ontario, Friday the 13th and July 8’s Pottahawk 2018, known locally as the Pottahawk Pissup.” For the latter, up to 10,000 boaters sail from Port Dover to Pottahawk Island, off Turkey Point, and back. The adventurers return to the town for food, drink and a party. This weekend, Main Street will be so crowded day and night that people will be shoulder-to-shoulder for a dozen blocks or more. 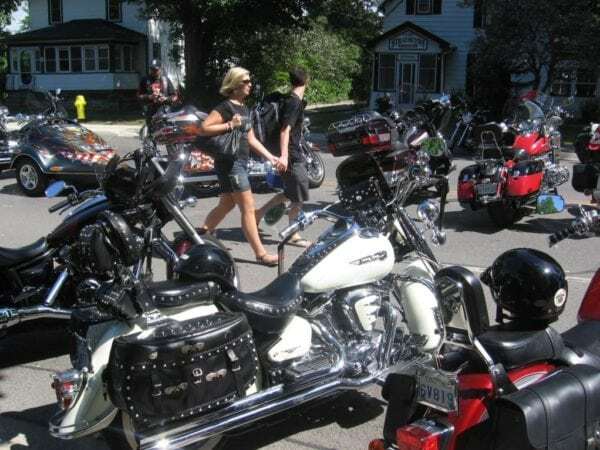 But no one seems to mind, and townsfolk and outsiders alike enjoy hanging with the bikers. “The young kids really enjoy it and the retirees like to mingle with the crowd,” Simons says. 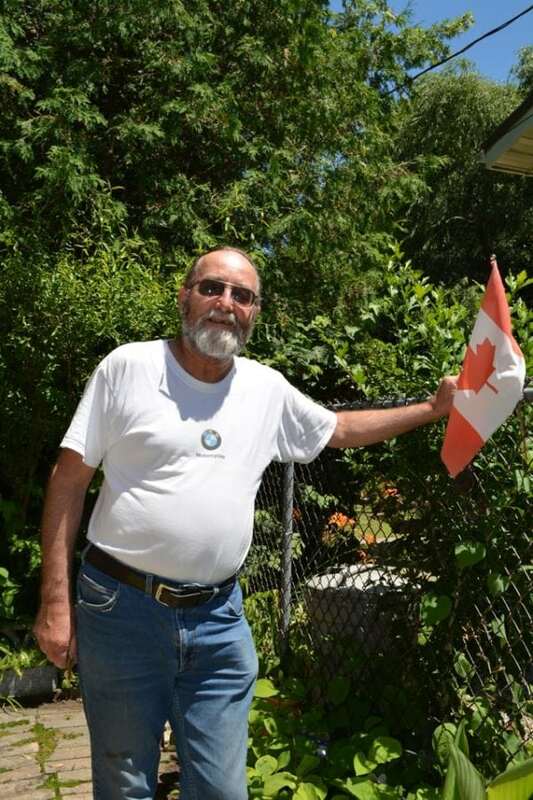 Simons, who still rides a BMW GS1150, is proud of what his get-together has become, although he says he regrets some of the things it has done to Port Dover. 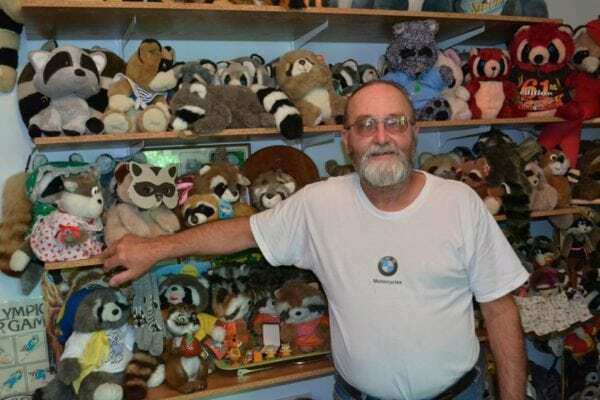 On the other hand, he adds, the event is great for local businesses and service clubs, which raise a great deal of money over the weekend to support local charities and other events such as the town’s Santa Claus parade.